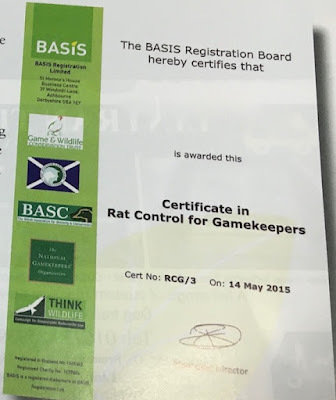 From 1 October farmers, gamekeepers, pest controllers and their employees buying professional rodenticide packs for use outdoors will need to show either an approved certificate of competence or document confirming membership of an approved farm assurance scheme. Without documentation from that date onwards, all sellers including those online are prohibited from completing the sale under the conditions of the UK Rodenticide Stewardship Regime. During September, remaining stocks with pre-stewardship labels can still be sold. These are being replaced by stewardship-authorised rodenticides, which carry legally-binding requirements from HSE specifying user certification and compliance with product label conditions of use. The Campaign for Responsible Rodenticide Use (CRRU) reports to HSE for implementation of the stewardship regime. In addition to new conditions of sale, CRRU UK chairman Dr Alan Buckle says the way rodenticides are used must change if we are to reduce the occurrence of residues in wildlife. "For many years it was thought best practice to set out bait points on farms, shooting estates and around rural premises, then keep them permanently topped up with rodenticide," he says. "We now believe this practice is responsible, at least in part, for the contamination of wildlife that we now see so widely in the UK." CRRU UK has recently published new guidelines about safer and effective alternatives to permanent baiting, when it may be justified and, if it is, how to do it most safely. 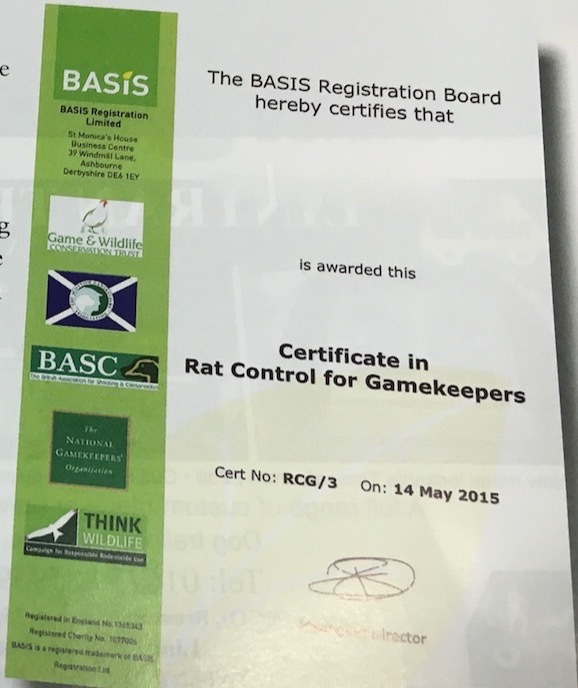 *The SGA is pleased to announce that the 1000th gamekeeper to take the rodenticide course run for rat control by SGA and other rural organisations has just been recorded.